Western Storm head coach Caroline Foster believes the inaugural season of the Women's Super League is doing "great things for world cricket". 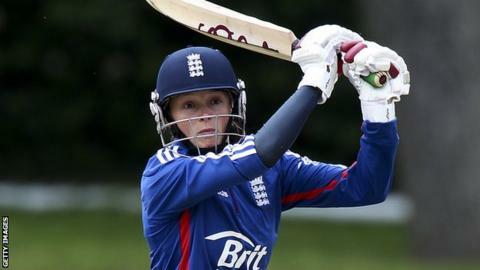 The former England opener's Storm side beat Lancashire Thunder by four wickets in their debut in the league on Sunday. "The girls are involved in something that has been a landmark tournament," she told BBC Radio Bristol. "The league have done a really good job of spreading out the talent, and have ensured it is an open competition." Western Storm's next Women's Super League match is away at Loughborough Lightning on Friday. "Everyone is really excited. Every team will go into this wanting to win," Foster added. Each team in the T20-format event boasts three senior England internationals and three players from overseas. The remaining squad members are made up of players from the respective counties and England's youth set up. Foster explained: "While we are training we have got younger and older players mixing and sharing knowledge." Western Storm's Georgia Hennessy, 19, is one of the youth players drafted into the league. "When the teams were released, to see some of the players that were in the squad, it's crazy," Hennessy told BBC Sport. "Every side is really strong, so we have got to take each day as it comes, train hard, and then hopefully we will show what we have got."